An inert and fully deactivated cartridge or round in 40 Smith and Wesson calibre. Also known as 40 SW, .40 SW, 40 Cal, 10x22mm Smith and Wesson. 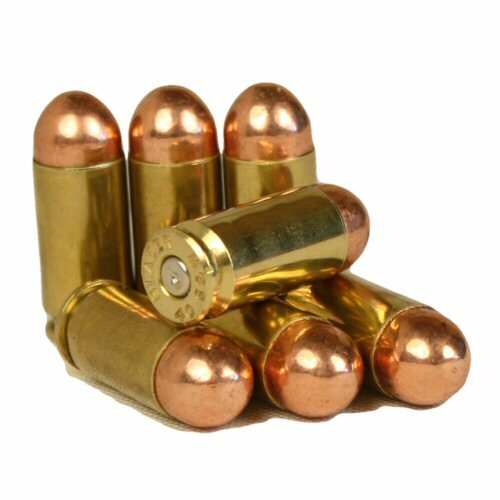 This round consists of a fired brass case with fired primer and copper jacketed round nose bullet head. 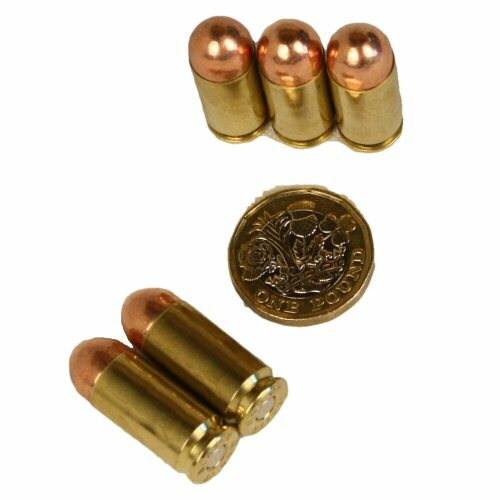 The 40 SW is a round especially developed for law enforcement after 1990 to provide a reduced velocity 10mm round which could fit in FBI issued SW 45 ACP handguns. Law enforcement guns, such as the HK UMP submachine gun, semi-automatic handguns of many makes. The 40 SW is popular for providing manageable recoil and a greater energy (stopping power). Please note, these inert cartridges are shipped with no powder and fired primers (indented). Warning, attempts to illegally re-activate will result in personal injury! Price is for one inert round only. Inert rounds shipped outside the UK may only be shipped by courier (eg UPS) due to civil aviation authority controls. Coin shown next to round for size comparison only. Coin shown for size comparison.